Take a tour of my new office! Let’s start with the door, shall we? 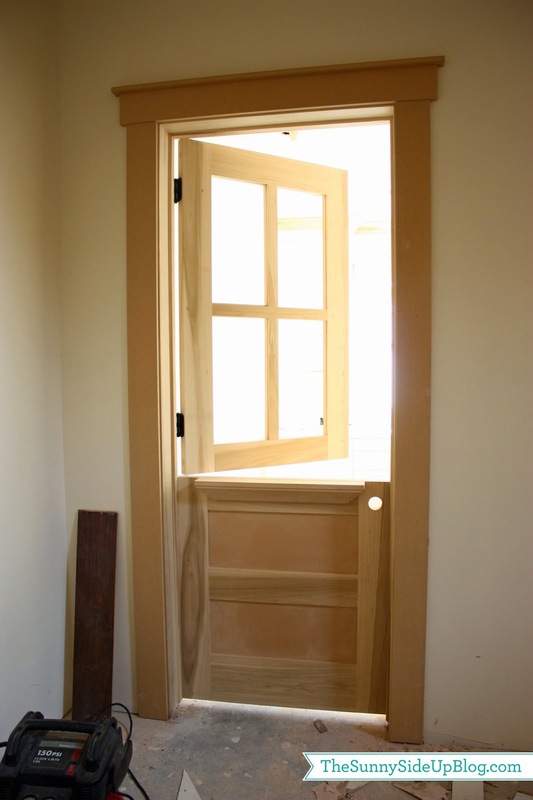 A beautiful dutch door that lived in my dreams for many years. You can see in this picture where my office is located. 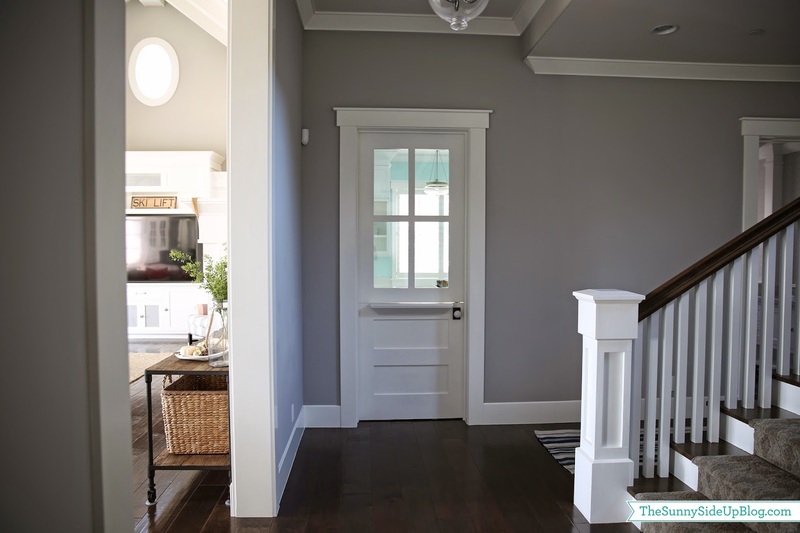 Close to the stairway and most importantly, right off of the main living areas – family room and kitchen. 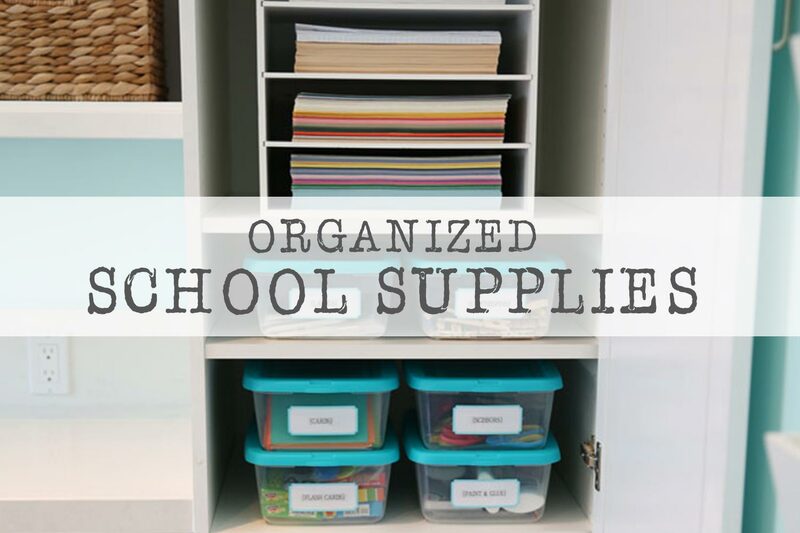 After years of having all of our projects and the kids’ homework spread out on our small kitchen table (and my scrapbook supplies stored in the nursery! ), it feels like a dream to finally have a separate office space. 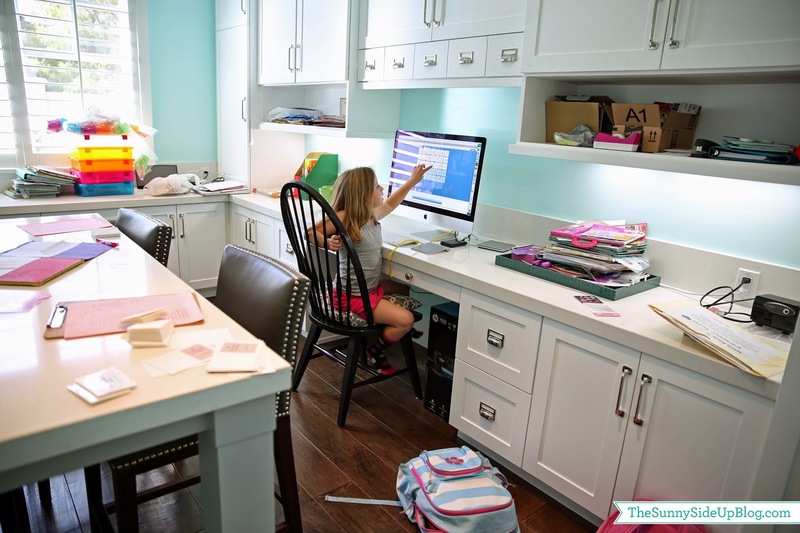 I wanted my office close to the kitchen so that I could be fixing meals/snacks/cleaning and still keep an eye on my kids and help them with homework. Most of the time we have the door open. This room is by far the most lived in room in our house. The kids and I are in and out of this room constantly all throughout the day. 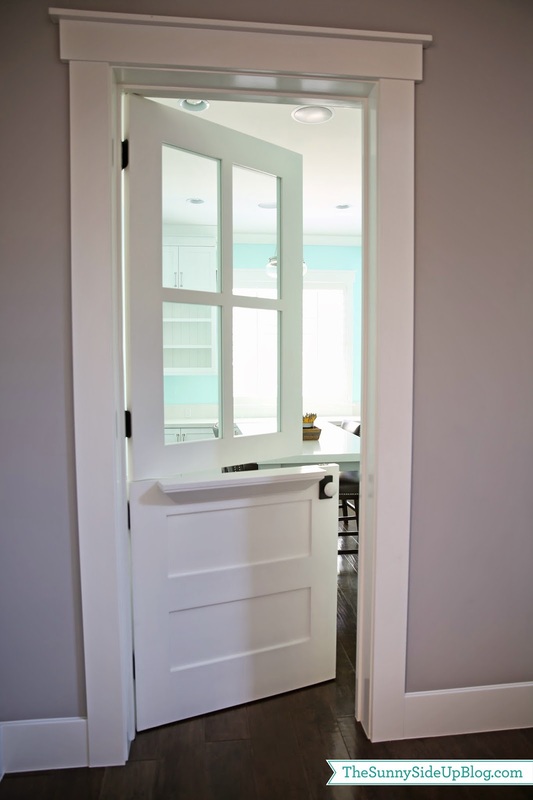 Ok – enough about the door! Come in come in! I had two goals for this room: storage and work space. So I ultimately decided on a wrap around counter with an island in the middle of the room. I spent lots of time planning this space trying to make every inch count! There is a desk area for our home computer and another desk area in front of the window where I can sit with my laptop to work if the kids are using the big computer. 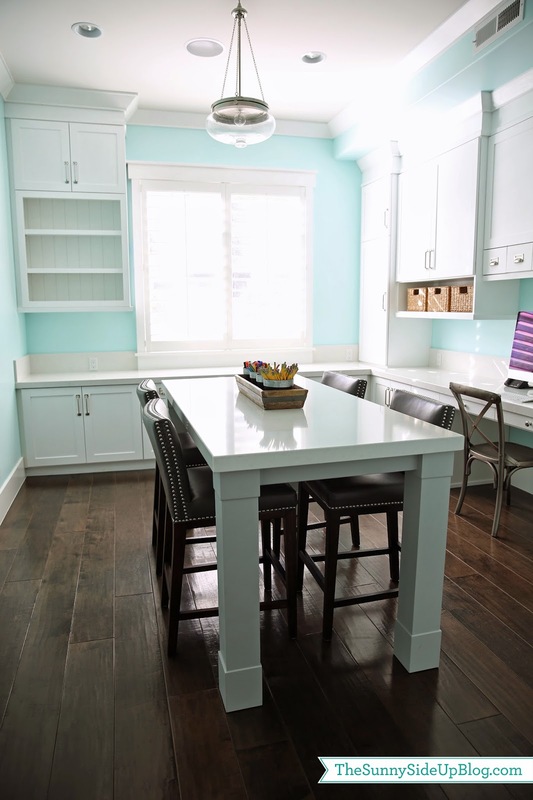 Then the island in the middle is perfect for spreading out homework or projects. I kept the desk legs simple like the rest of the molding in the house – and then used a slab of quartz for the top of it. All of the counters in the room and the island top is the same quartz I used on my kitchen islands – “Organic White” by Caeserstone. Clearly I’m a fan. 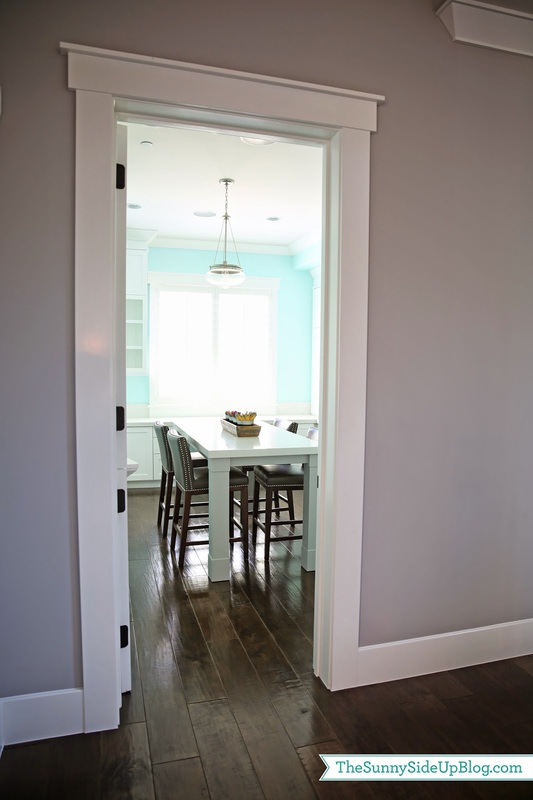 :) The desk legs are painted the same grey in our main rooms – “Seattle” by Frazee. The dark grey barstools were originally for my kitchen, but they ended up looking much better in this room (they were a TJ Maxx steal!). The chair in front of my computer is borrowed from our dining nook. We are just using it until I can find two fun chairs for this room. I still need a rug under the table too and just haven’t had time to look for one. 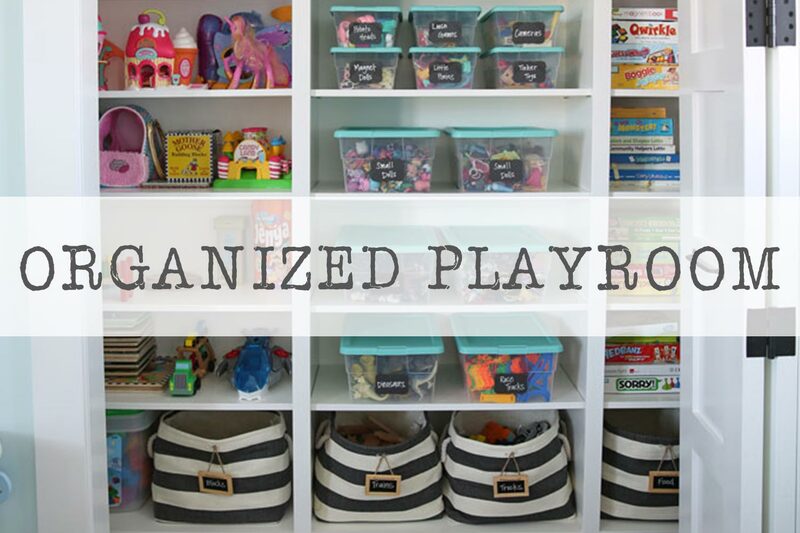 Organized school supplies make this a perfect creative work space for the kids! And yes. I’m a bit of a pencil hoarder. I blame it on my teaching days. One can never have too many sharp pencils. 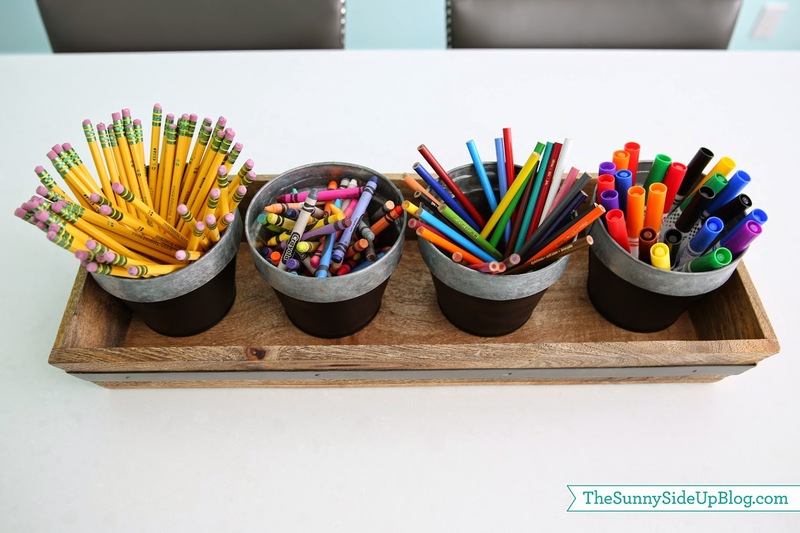 Do I dare admit that I have multiple pencil boxes tucked away in one of my office baskets? Nah. Not going to admit that. On the far left of this room I decided to add some open shelves with planks behind them. This is what you see through the glass when the dutch door is closed so I thought it would be a nice place to decorate and display a few things. Excited to bring some personality into this room! 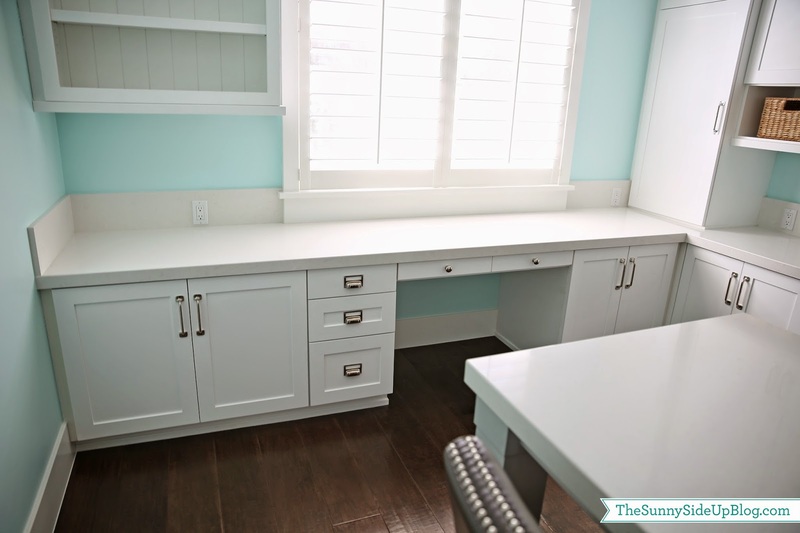 Here is a close up of the second built-in desk area. 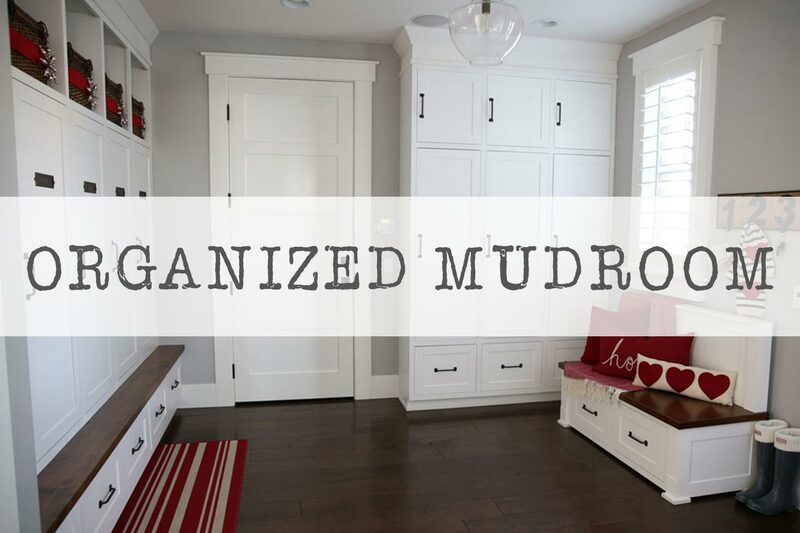 I used multiple types of hardware in this room because the drawers and cupboards were all different sizes and pulled open different ways. Plus there were some drawers I wanted labeled. We put plantation shutters on the windows just like most of the rest of the house. 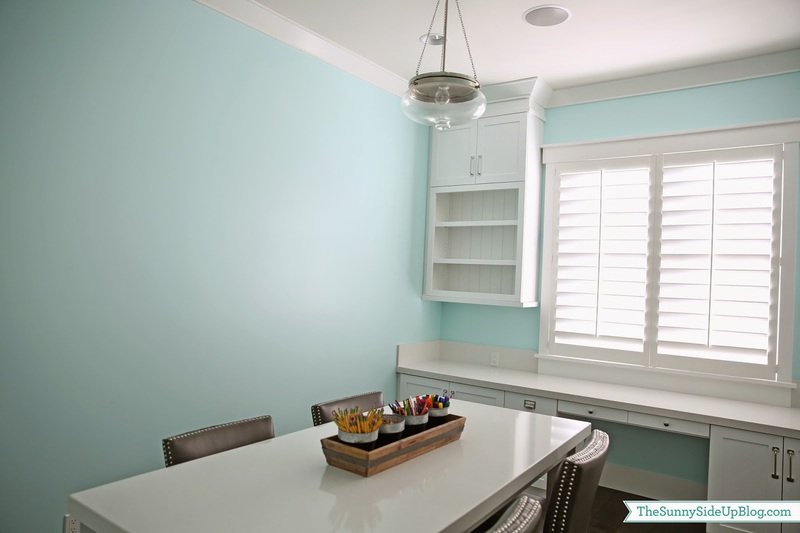 This room gets a lot of natural light and that combined with the paint color makes it a happy spot to hang. I haven’t decided if I love these baskets in this room? They were all I could find that would fit the basket openings, but there are a few other places I could use them so they may or may not be home. The file organizer on the wall was overflowing with papers so I pulled everything out for this picture. Good excuse to sort through it all! 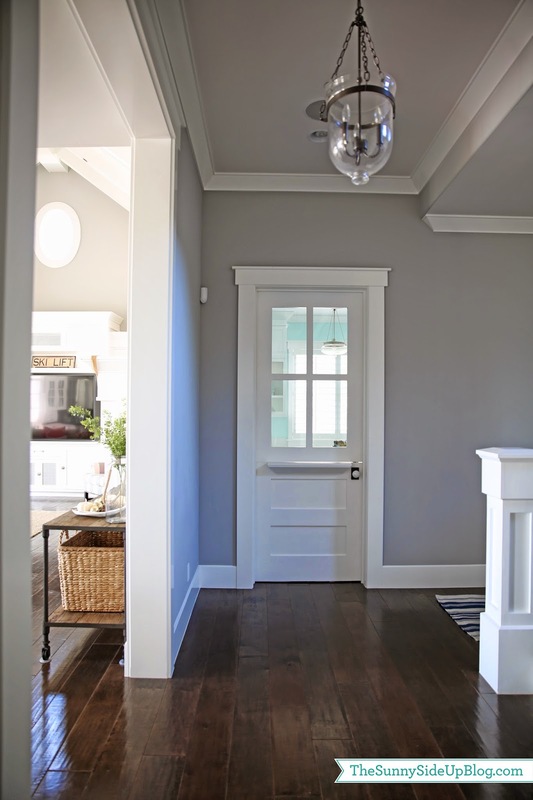 I kept the light fixture clear glass to go with the lanterns in the hallway. On the left side of the room there is a big, blank wall. I originally had a huge pin board planned that was going to be inset into the wall with pegs on the sides for organizing supplies, but I ditched that idea during framing. I knew I had plenty of drawer/cupboard space for all of our supplies and I didn’t want something so permanent. I have a few ideas for that wall but I’m taking my time because I want to live in the space a while and see what would be the most functional for us. A place to display the kids’ work? A family command station? A gallery wall of some sort? Lots of possibilities. And this is nothing compared to what the inside of most of the cupboards look like. Let’s just say they’ll make great “before” pics. :) I’m tackling this space one drawer and cupboard at a time. I have to remind myself of that or I get overwhelmed. So far I’ve organized our craft supplies and all of my building info. in the tall cabinet on the right. 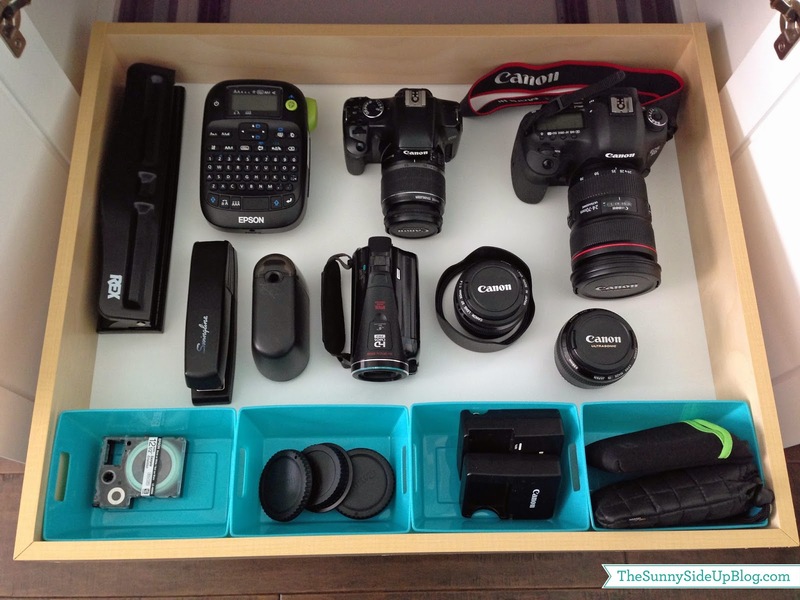 I’ve also organized my camera equipment and a few office supplies in one of the pull out drawers. Camera instruction manuals are in one of the baskets. This beloved space is done. And most likely so is your snack. I hope you enjoyed the tour! Thanks for joining me. It has been so fun sharing our building journey with all of you. This looks lovely! :) Do you mind me asking with the wall color is? I am sorry if I missed it! Thanks so much for sharing! It looks like a wonderful place to create! Wow! What a perfect work and homework area! Plus so light and bright — love it! 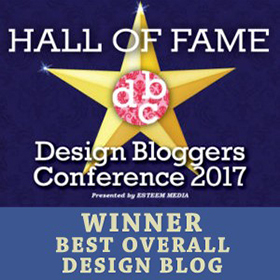 You did a fabulous job designing it! Hi Erin! Your office is absolutely gorgeous! I love every single thing about it!! They are magnetic strips for children’s art/papers. I have two rows of three in a hallway in my home and they are by far the most commented on item when people visit. You could even do three rows of three–one row per kid is perfect! We love them! So sorry I forgot to mention wall color! I’ll have to add that to the post. 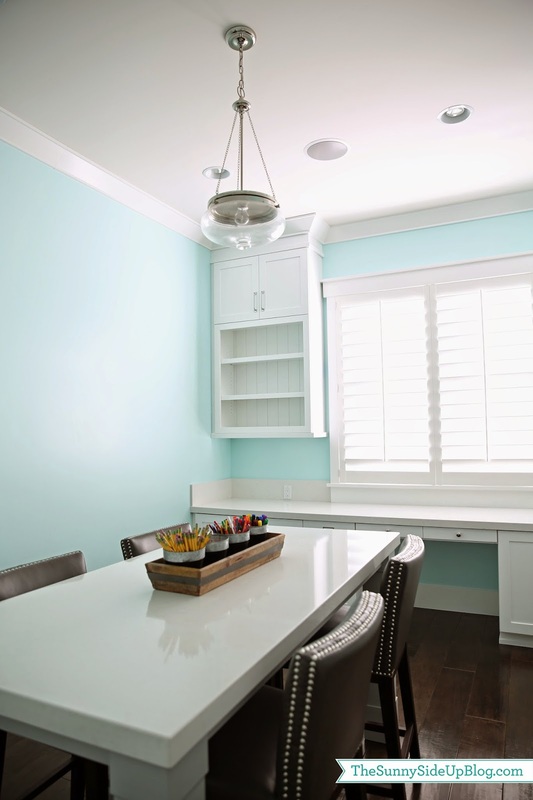 For those of you wondering, the craft room wall color is “Spearmint” DE5729 by Dunn Edwards. Diana – thank you! I love that label hardware too! I found it on-line at Lee Valley. Here is the link! Erin- Love it, as I do everything else about your house. Can you tell me the dimensions of this room? Thnx! Love it! 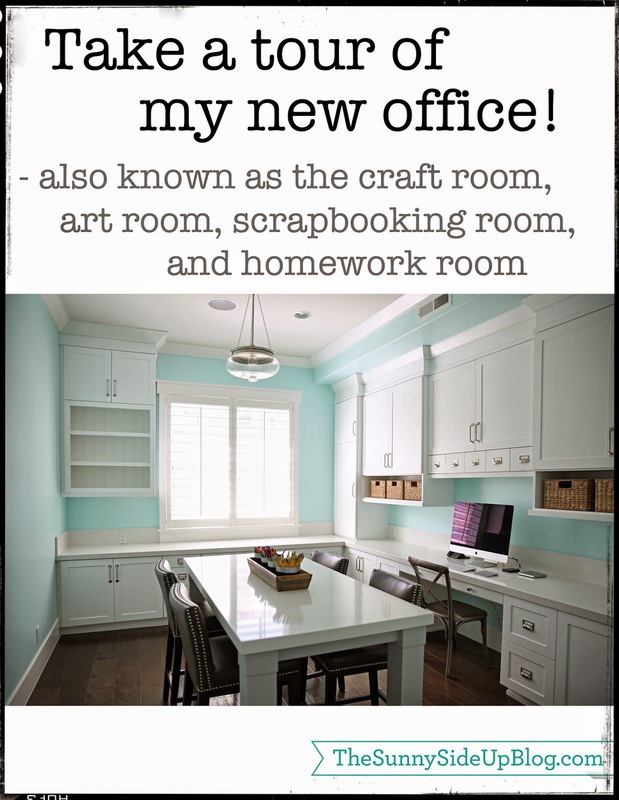 That is my dream office/craft room. I have seen other people spray paint baskets. So that may be an option if it is just the color you don’t like. I just want to move in. I dream of such a space! Looking forward to seeing your organization of the space. This is my favorite room in your house! I love it! This space is beyond awesome! I can tell a lot of thought went into the design. Enjoy organizing it! Thanks again! You guys! Sweetest comments. You are making me so happy. I love that you love it! 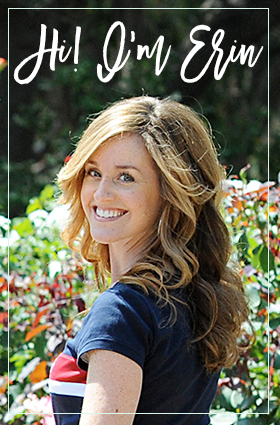 Denise – great idea! I may have to do that if I don’t find something I love more. Thank you Constance! It works so well for our family. Laura – I sent you the name on Instagram. Did you find it on-line? Beautiful room! 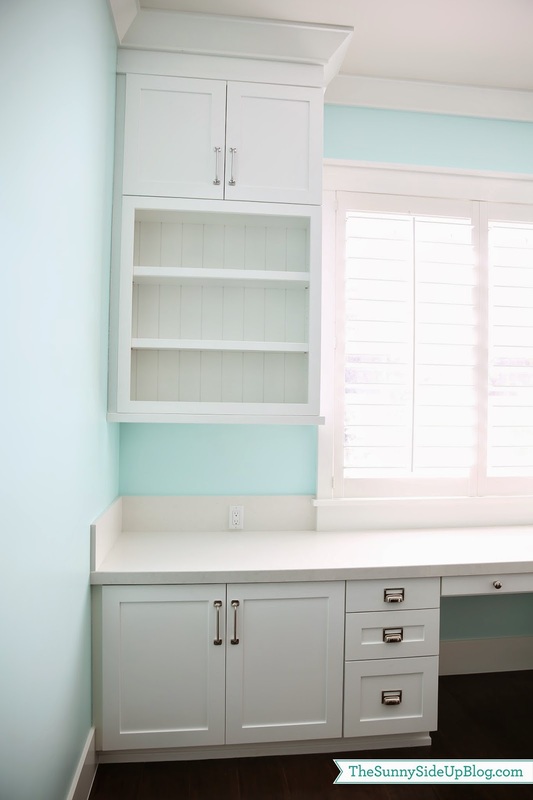 Love the wall color and the white cabinets…such a happy space! Can you tell me where you got the white paper file in the cabinet? I’ve been to a few stores looking for one but can’t seem to find one. Thanks. I love your new multiple purpose room. I told my husband our new home that we plan on buying in three years must have a room for my creative side! Beautiful room amd glad you added a picture with the true side of the room, kids and all. May i ask where you got the hanging file system for your papers? Ive been looking for months and cant find one. Just gorgeous!! 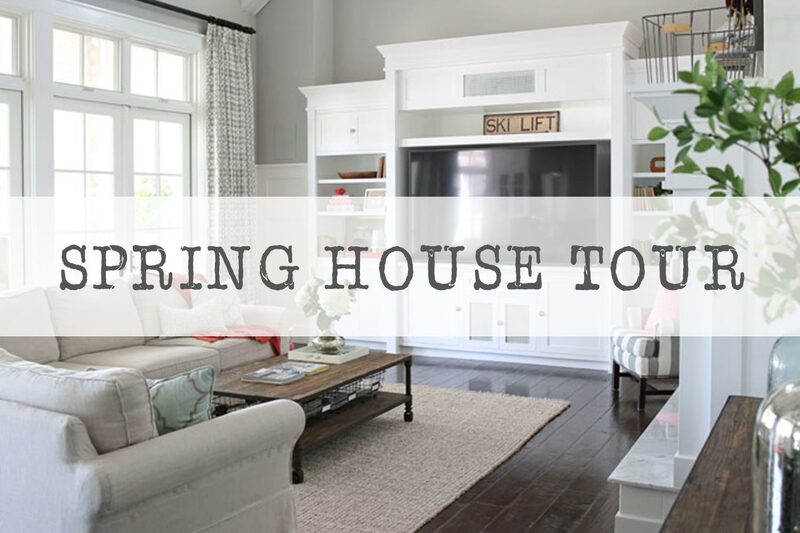 Thank you so much for letting us see so much of your beautiful home!! By far the best thought out room of the house! 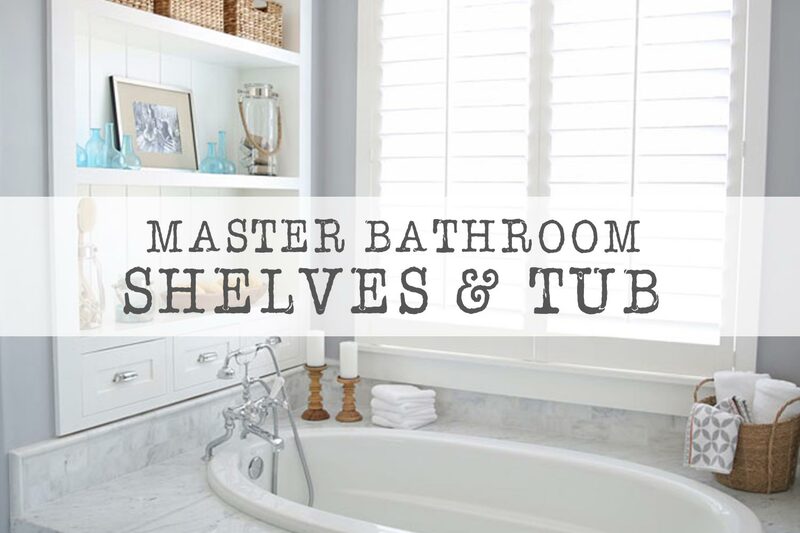 (and I haven’t even seen your master bedroom yet) I wish I could have planned for this in my house when building. We opted for a craft room in the basement but no natural light and my daughter is still at the age where she is afraid to go in the basement by herself. Oh, Erin, it is so pretty! 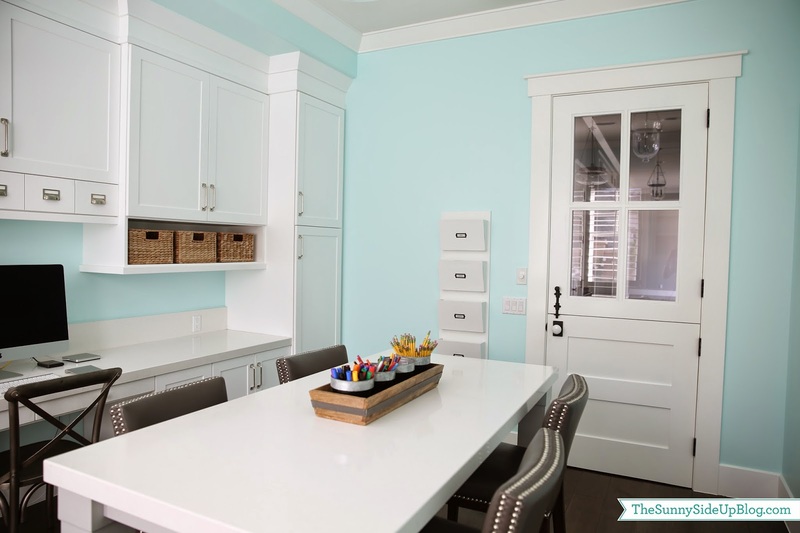 I really like the wall color…..it’s very similar to my little “craft-happy space!” I think it is so wonderful that you planned for a shared space with your children. 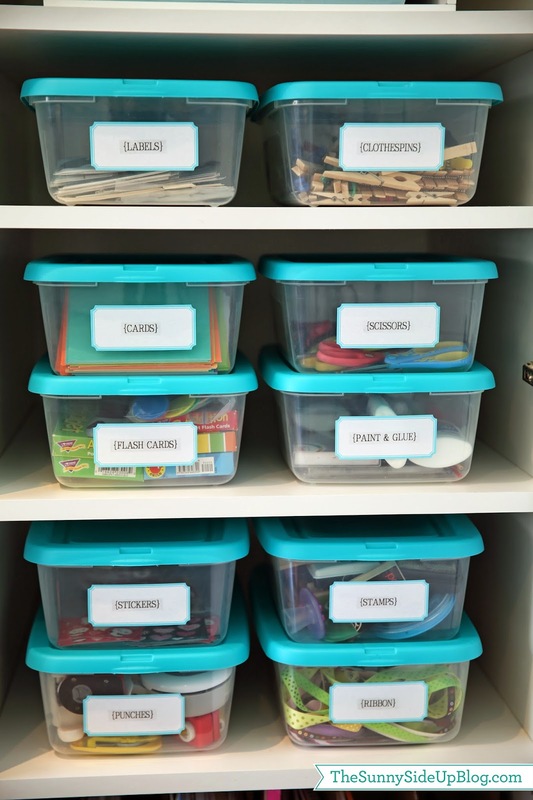 I’m sure your kiddos really like being in the room with you, and they will probably pick up on some of your organizing skills…….yes, no, maybe? Thanks Susi! So happy you like it! The room is 12×16. Hope that helps! Such an amazing room. I would love to have a space like this in our next house. Also, you showed a pic from a year ago when you moved in. Can’t believe you guys have already been in for a year! Thanks for sharing your home with us. Thank you Leslie! Isn’t it crazy!? I can’t believe it has been a year either. Erin – LOVE LOVE LOVE this room!! I could hang out in here all day! 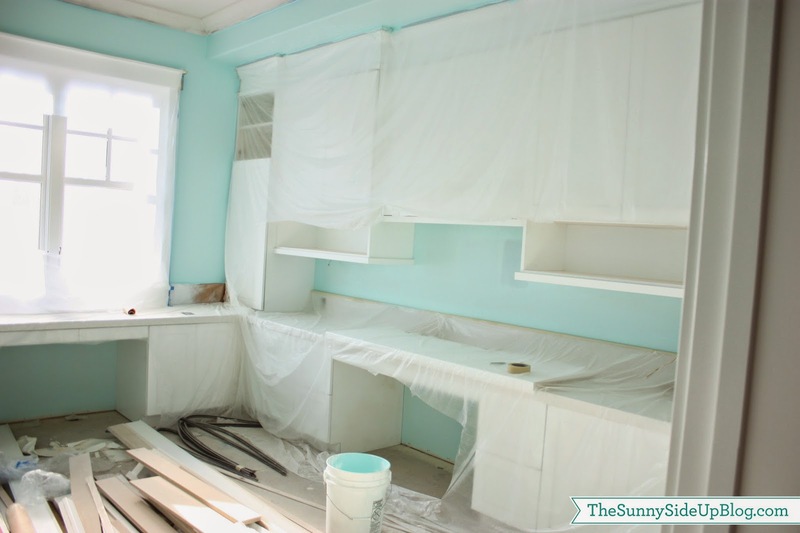 :) I have a random question – what kind of cabinets did you use for the desk area? I have an office area I’m putting together, and am having a hard time finding cabinets that are low enough for a desk space! Thanks so much! I absolutely love this space. 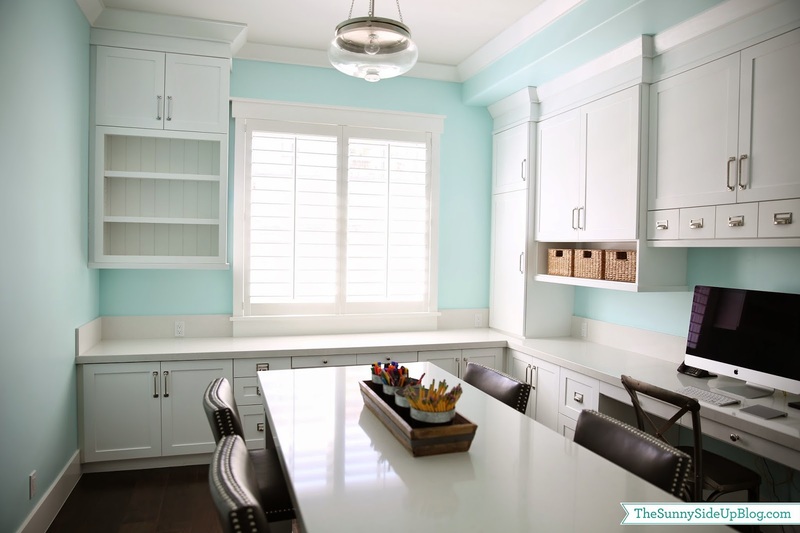 Would you mind sharing the color that you painted the cabinets. It’s beautiful. Thanks! Thank you so much CW! 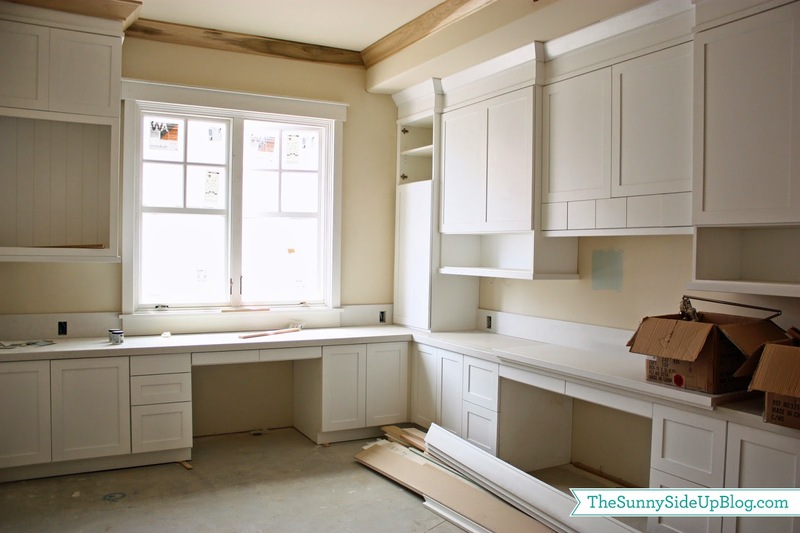 The cabinets are custom and we had our cabinet makers build them. They are all the shaker style we used throughout the house. Sorry that probably doesn’t help you much! Love your blog…have been thinking about cutting the solid door from my kitchen to basement into a dutch door (need to keep open in the winter to let up the heat from our wood stove in basement…but need to always close with babies walking/crawling around…and figure will be good for future too when guests come and we don’t have baby gate anymore) .. .turns out I really cant cut my door because of where the top panel ends which is below the knob…looking to buy a new door but I can only find exterior dutch doors….where did you get yours? Or is it custom? That’s my next route if I can’t find one! Thanks! Hold up…let me catch my breath. Your room is absolutely perfect in my opinion. The colors on the wall are a breath of fresh air which clears the mind for creativity. 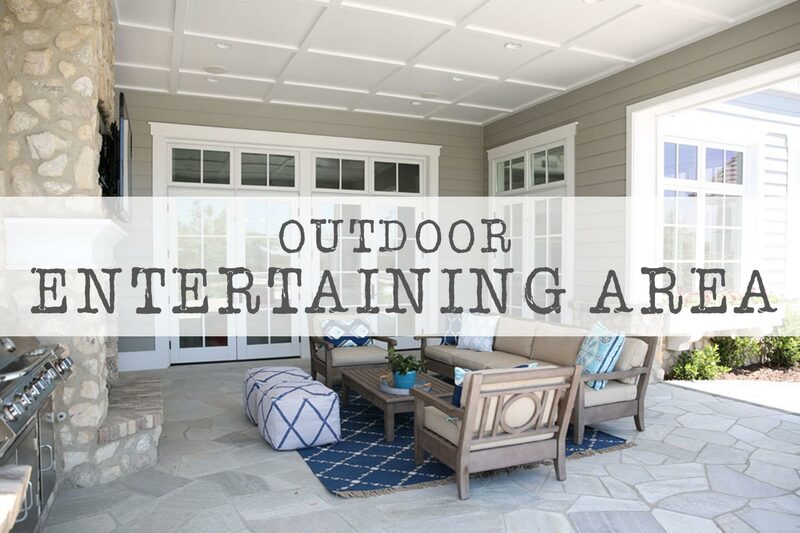 Great post & you really did squeeze a lot into the space, good planning! I actually like the baskets as they break up all the white nicely … but in reality I’m sure there are lots of colors everywhere. 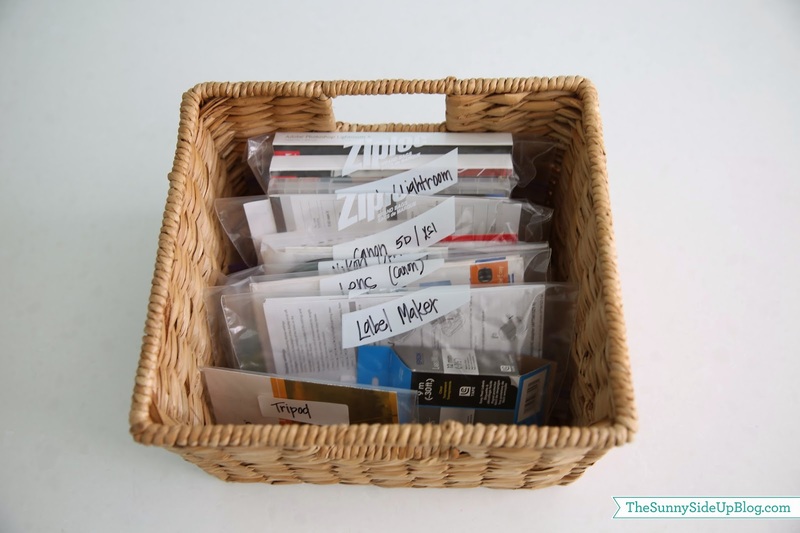 I’m going to use your camera organizing idea – never thought to put all the stuff in a drawer … and think I’ll use liner (think you had one so things don’t roll around, and then I can write on it to say what goes where to hopefully keep things organized. This is amazing! Would you mind telling me the dimensions of the island in the middle? 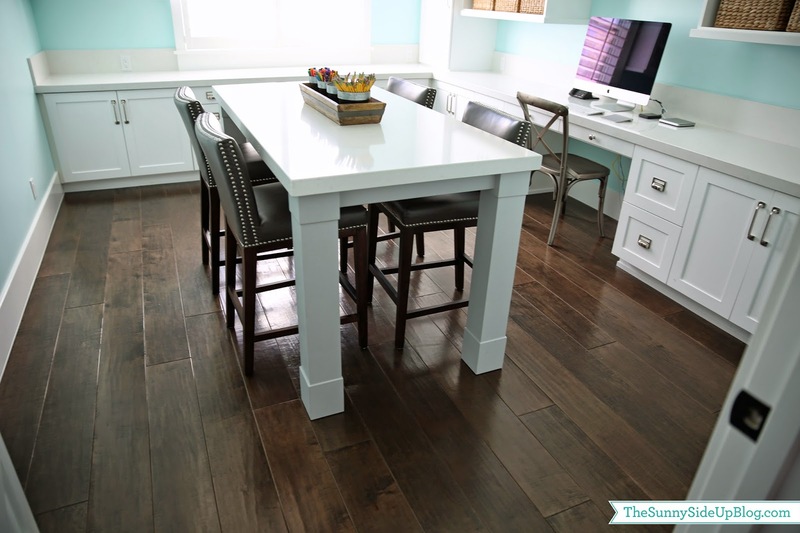 Did you cabinet maker make the legs? Thanks! Thank you so much Suzi! 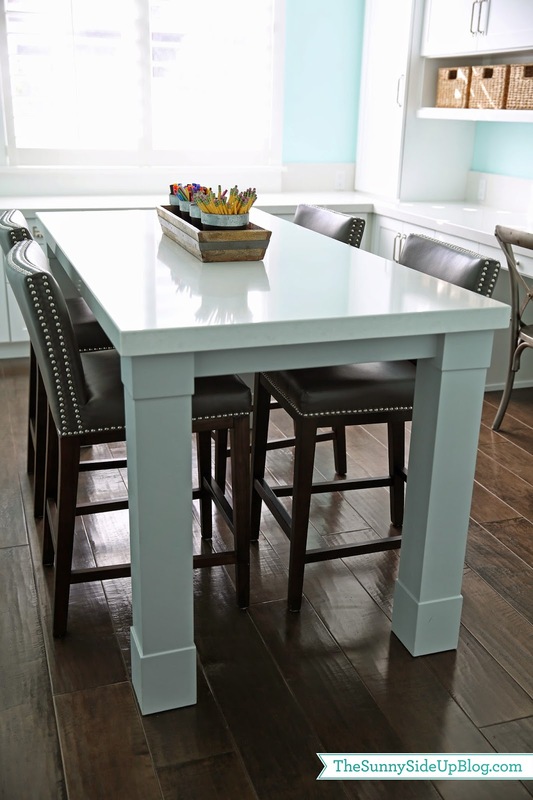 Yes – I had my cabinet maker make the island legs (drew a picture of what I wanted) and then had a slab of quartz put on top. The island is 34×70. Oh My!! 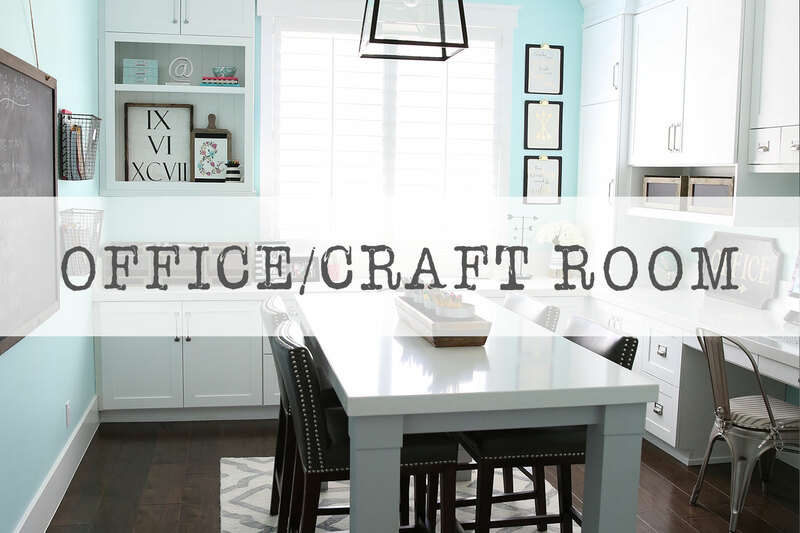 What a beautiful space to create:) Your room is so inspiring that I want to re-do my craft room! Love, Love, Love it! The colors are just fabulous. I have to have a working office, but as soon as I send this last one off to college the media room is getting washed in a beautiful color. 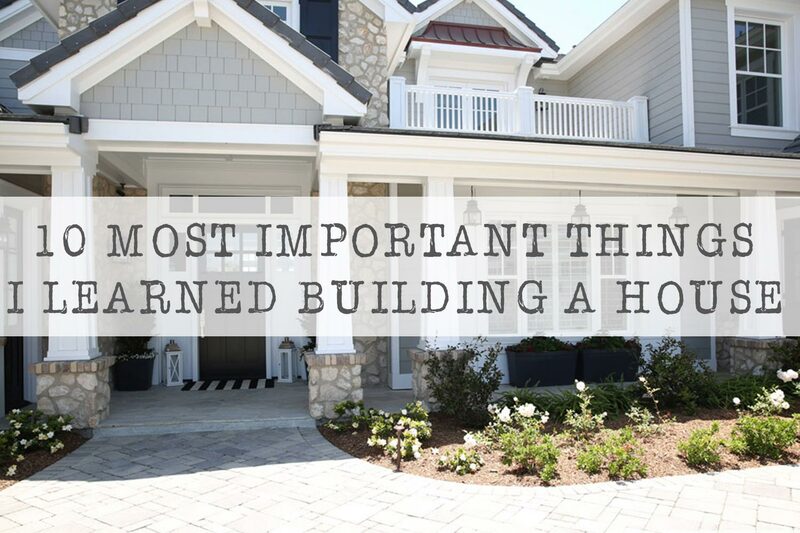 We are building a new home. The home has a craft room down stairs for me. As of yesterday my craft room went from 10′ X 11′ to 8′ x 10′. 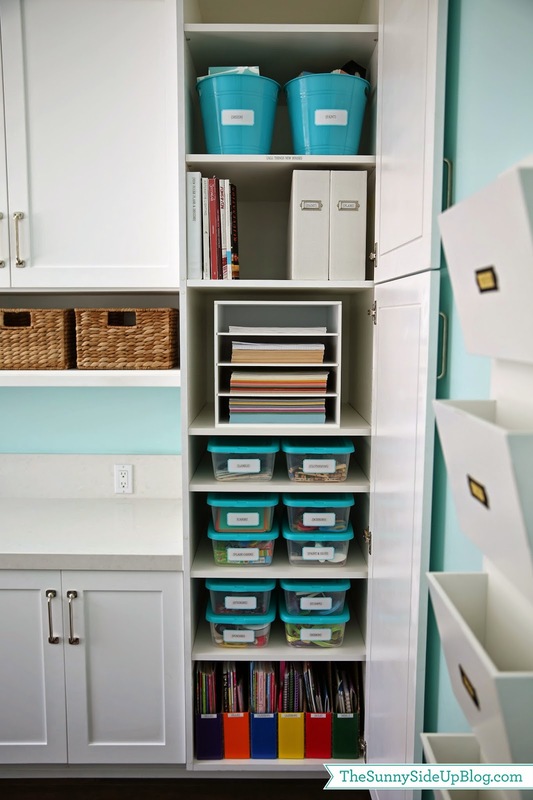 Do you know the size our your craft room? Hi Jana! 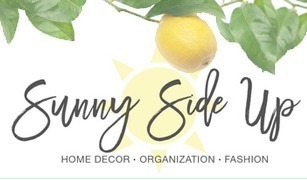 All of my craft room dimensions and details are in this post! 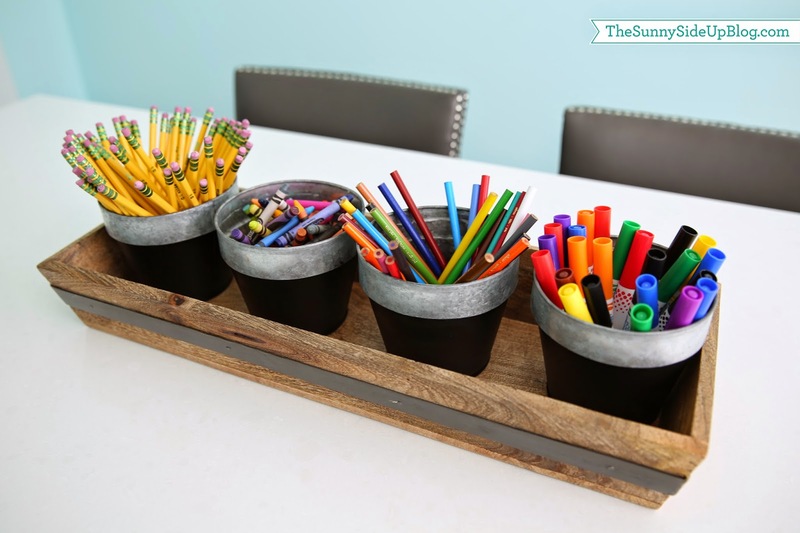 Have you considered a large black chalkboard for the blank wall, or a dry erase board? I think it would be useful to have for the kids doing homework/playing. Also I always thought they were fun to write on as a kid! 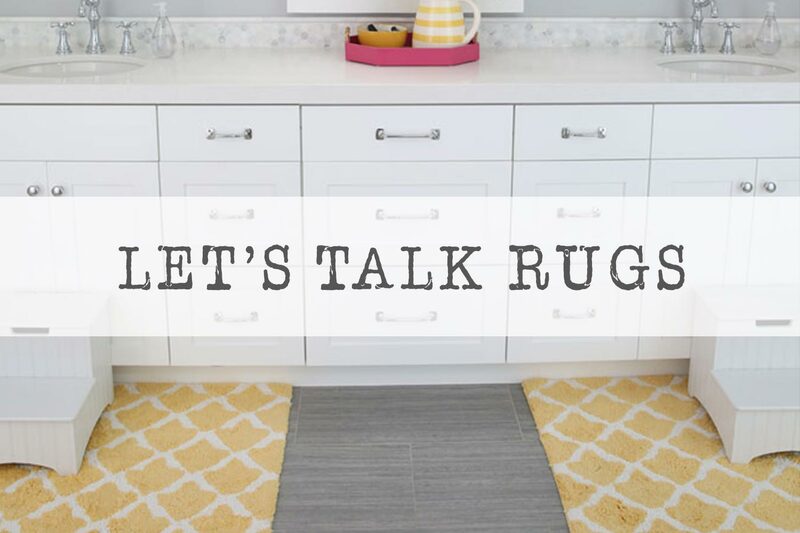 Love this space and your blog. I’m obsessed! !